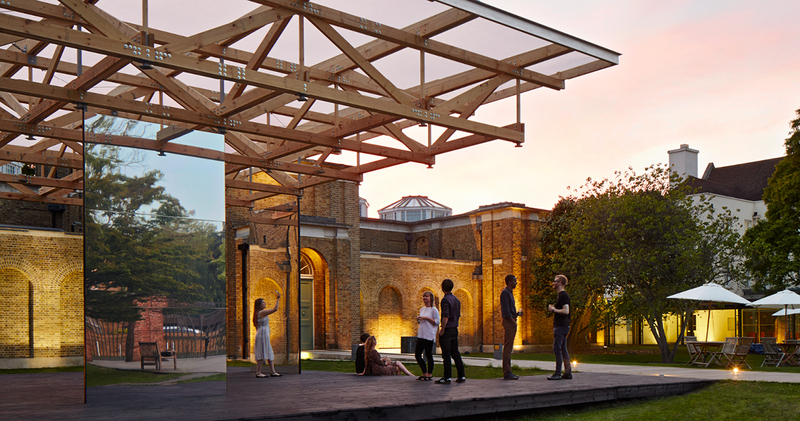 The Dulwich Picture Gallery has built a pavilion in the garden. It’s architect designed which means it is all confusing with mirrored walls so you’re not sure if you’re inside or out. As it has a total lack of privacy it seems like the perfect venue for some life drawing, possibly fueled by a cocktail or two from the bar. So for four Sundays, 13 August – 3 September, 6.30 – 8.30pm, we’ll be running a life drawing workshop. There may be a little tuition for those that want it, we usually do a quick demonstration but if you just want to draw that’s fine too. It’s a turn up and turnover type of event with a suggested donation of £5 to cover model fees and expenses. It seems possible to reserve an easel on the website here but this has now sold out, which seeing as they pushed it as a free event might not be surprising! Experience shows that of those who reserve for a free event will turn up, and there are further easels available from the gallery; some will also prefer drawing boards on knees. So please come along, we’d like you to pay £5 but it will be a relaxed event which will hopefully introduce more people to the essential activity of life drawing and be a chance for old friends to enjoy life drawing with a drink in the hand.